Eastern Bali Trekking & Relax in the Beach. Activity A new trekking tour by Bali Club is very original including trekking, cultural experience and relax time in the beach! 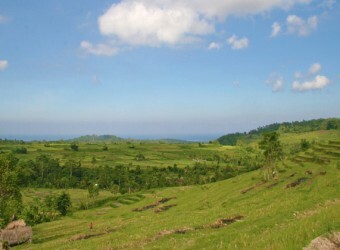 The attraction of the deep Eastern Bali through the experimental eco tour is something you don't want to miss in Bali! You can spend time both in the mountain and the ocean in a day in this special tour ! * You will visit the white sand beach, so it is recommended wearing swimwears inside of your clothes from the hotel. Also bringing flip-flops is recommended. * We will let you know the actual time in the booking. * The transportation by Bali club goes hotels in each area, so the time might be back and forth. You might share the car with other customer. The tour is available from over 2 people. Ikan (Fish) Set + Soft Drink or Beer at warung in the white sand beach. ※he fee and schedule might be changes withour any notice by the sponsor. ※The insurance does not cover damages of belongings. Not only trekking, but also visiting Bali Aga Village and Kusamba Village, a famous traditional salt making village. Sunlight was very hot and I got very bad sunburn because I didn’t provide prevention against the sunburn. It was not just trekking, but I also went to Bali Aga village and Kusamba traditional salt making village. It was hot and I got sunburned very bad. I didn`t bring sunscreen or anything else to avoid the sunburn. I tanned to a deep black color.